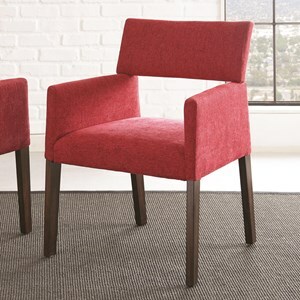 This dining chair has contemporary style with architecturally inspired design details. 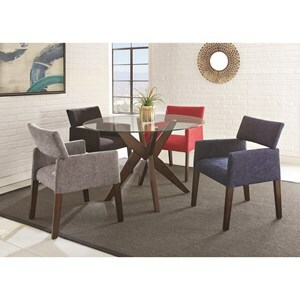 Place this piece around your table to bring a relaxed sense of sophistication to your dining area. 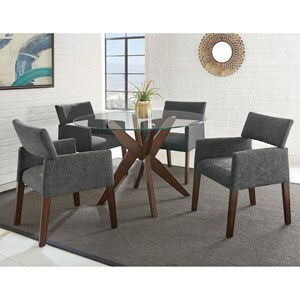 The Amalie Contemporary Dining Arm Chair by Steve Silver at VanDrie Home Furnishings in the Cadillac, Traverse City, Big Rapids, Houghton Lake and Northern Michigan area. Product availability may vary. Contact us for the most current availability on this product. 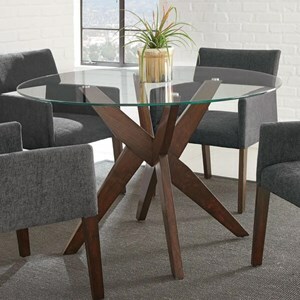 The Amalie collection is a great option if you are looking for Contemporary furniture in the Cadillac, Traverse City, Big Rapids, Houghton Lake and Northern Michigan area. Browse other items in the Amalie collection from VanDrie Home Furnishings in the Cadillac, Traverse City, Big Rapids, Houghton Lake and Northern Michigan area.